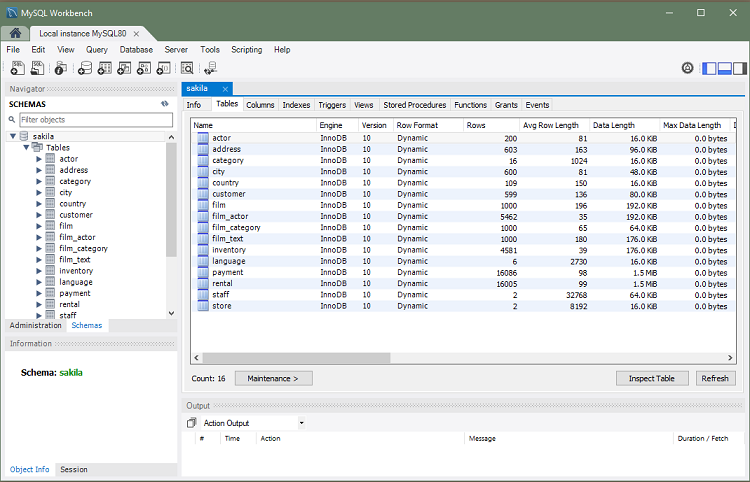 The Schema and Table Inspector includes the ability to analyze and repair tables, and also view table metrics. Use the Schema Inspector to browse general information from schema objects (shown in the figure that follows). It allows you to perform maintenance tasks on tables such as ANALYZE, OPTIMIZE, CHECK, and CHECKSUM TABLE. To access the inspector, right-click a schema and select the Schema Inspector. Each tab lists topic-oriented information, such as "Tables", "Indexes", and "Triggers". 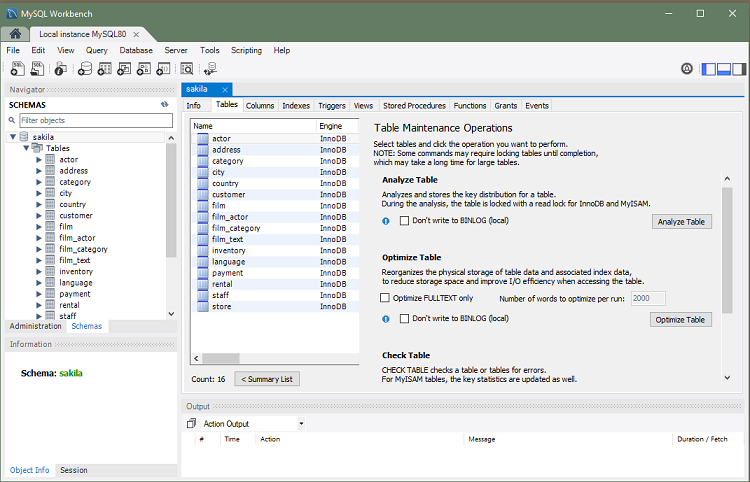 From the Tables tab, click Inspect Table to open the Table Inspector, or Maintenance to open the table maintenance tools (shown in the figure that follows). You can use the Table Inspector to view table information, which is similar to the Schema Inspector. 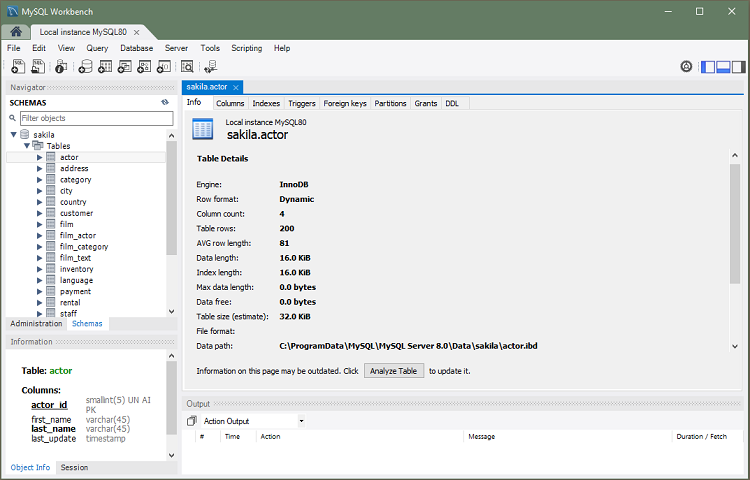 The Table Inspector includes an easy-to-use interface for analyzing and creating indexes for your tables. To open, right-click a table in the object browser of the Navigator pane and choose Table Inspector from the context menu as demonstrated in the following figure. The Table Inspector shows information related to the table. The next figure shows an example using the sakila.actor table.